But don't sweat the details - no literally. Don't sweat. 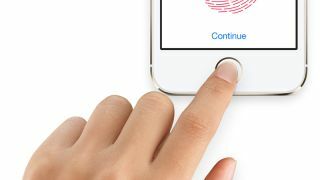 When Apple unveiled the iPhone 5S Sept. 10, the standout feature was undoubtedly its Touch ID fingerprint sensor that unlocks the smartphone through biometrics. It's inevitably led to those concerned with privacy to start poking at the company's tech, and not in order to test out the smartphone's scanner. Apple, anticipating conspiracy theories, reiterated today that the iPhone 5S won't actually store users' fingerprint images on the device, according to the Wall Street Journal. Instead, Touch ID keeps fingerprint data encrypted within its A7 processor. It's locked away on the device itself, not on Apple's servers or iCloud. Fingerprint data, according to the Sept. 10 presentation, includes a fingerprint's arch, loop or whorl classification and individual ridge details smaller that the human eye can see. The Touch ID system goes as far as capturing minor variations in ridge direction caused by pores and edge structures. Because there isn't a stored fingerprint image on the device, it's unlikely someone could reverse engineer your fingerprint even if they cracked the the A7 system-on-a-chip, according Journal's report. Apple also reiterated that third-party applications are not able to make use of the fingerprint scanner right now. The other fear is that the iPhone 5S fingerprint sensor won't work consistently or at all for people with impairments. Apple admitted to the paper that testers with sweat and moisture-laden digits were incompatible with the Touch ID system in some cases. Likewise, the fingerprint sensor may be unable to pick up on fingers scarred by accidents or surgery. The solution here is to use the still-available four-digit passcode - the other kind of digits. The passcode isn't going anywhere, according to Apple. In fact, setting up a backup passcode is required when enabling Touch ID and only this code works after a reboot or 48 hours of inactivity, preventing hackers from buying time to find a way to circumvent the fingerprint scanner. Even if Apple hasn't put to rest these two chief fingerprint sensor concerns for you, it's always possible to opt for the plastic iPhone 5C. It has just as much Touch ID technology as aluminum in its body. Meaning none at all. Check out the iPhone 5S vs iPhone 5C comparison.